The world can seem like a very dark place sometimes, and I know that most of us have been feeling the weight of that for a while. That's not to say the world hasn't gone through dark times before, but I think now that we're exposed to fast-flowing news and social media nonstop, it's sometimes hard to see out of it and find some light. 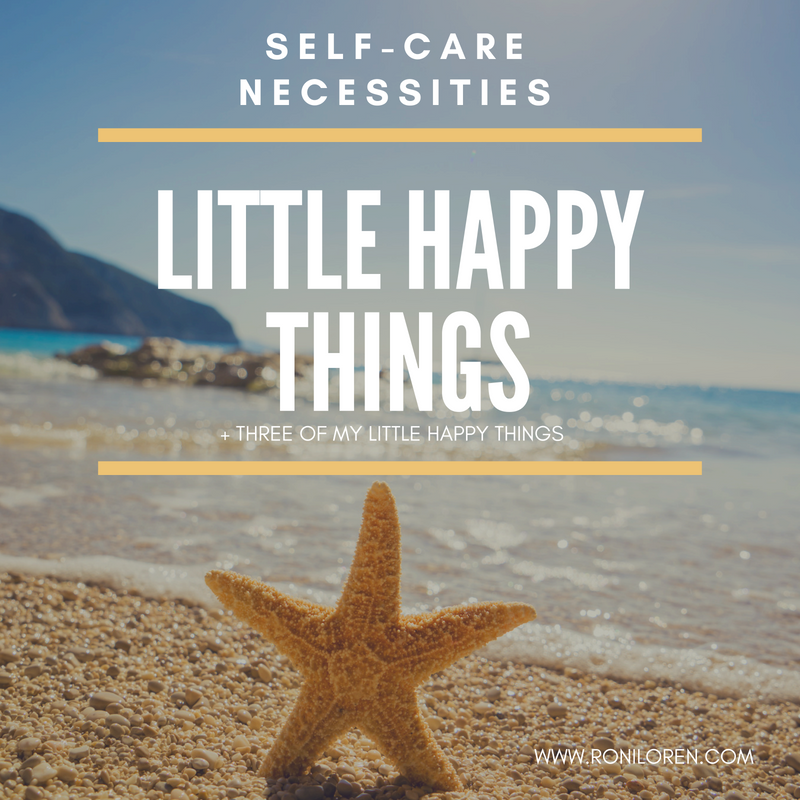 But finding that light and a few little happy things is often vital, especially if you're a highly empathetic person or someone prone to depression and anxiety. So first, remember to take care of yourself. Second, don't feel guilty for doing so. Third, don't let anyone shame you for not wanting to be immersed in the negative stuff all the time. Do what you can to stay informed and help the causes and people you care about, but also realize that you're no good to anyone if doing so is causing your own mental or physical health to suffer. I've talked about this before, so I won't go too deeply into it, but I just wanted to put that reminder out there. It's one I need to give myself pretty often too. And one of the things I've found helpful for me is to find some little happy things that make me smile. 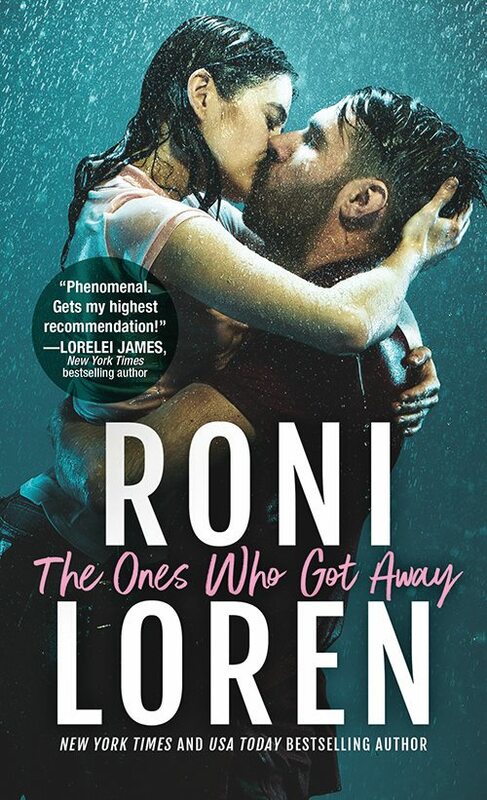 This is one reason why I'm a romance reader and writer. We need to read those happy endings to remind ourselves they're possible. So first on my list is obvious. 1. 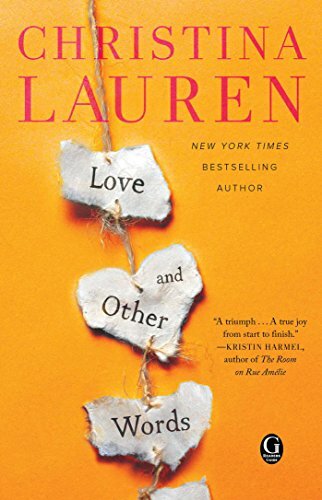 Read books that make you feel good. If I've had a rough day or am feeling blue, the quickest way to turn it around for me is to switch on my favorite playlist when I start cooking dinner and sing/dance alone while I cook. It's a great way to shake off the day and transition into relaxed family time. I know music is super personal, so suggesting something that everyone will like is impossible. However, I can tell you that after my family saw The Struts open for the Foo Fighters a couple of weeks ago, we have been OBSESSED. Opening bands rarely capture my attention, but The Struts grabbed mine right from the start. The lead singer is a great showman and reminds me a lot of Freddie Mercury, and the songs are just so catchy and fun to sing. I highly recommend checking out their full playlist but here's a taste. I apologize ahead of time for the earworm. Every one of their songs is an earworm. I think I've been singing "Put Your Money on Me" for a month straight. 3. Spending time with those you love with no news on TV in the background and without checking your phone. I've talked about how we're doing device-free summer again, and that always gets us playing board games. Sometimes I'm feeling like--ugh, I so don't feel like playing a game right now--but once we start, my competitive side kicks in and before I know it, we're all having fun. We had quite a game of Upwords the other night where hubs trash talked me and then lived to regret it when I beat him badly in the game, lol. We also had a lot of fun last weekend playing ping pong. Those unplugged things sometimes take some effort to start, but they really do feel good once you're doing them. So those are just a few of mine. Not everyone's little happy things are going to be the same. A little happy thing for me is decorating my planner or writing in my reading journal. They seem like silly things but work for me. You need to find those things that let you take a deep breath and restore some balance. So go ahead, have a little fun, and don't feel bad about it. It doesn't mean you're ignoring the problems in the world. It just means that you're making sure you're not on the airplane putting everyone else's mask on first and then collapsing in the aisle because you forgot you needed to breathe too. Okay, on to the post. So if you've followed me for a while, you may remember that last year I embarked on an experiment with kidlet: a device-free summer. No iPad, no video games, no computers at all. The only screen allowed was TV watched as a family. Not gonna lie, I was pretty nervous going into last summer because kidlet was VERY attached to his iPad and Xbox, and I was used to having that to help occupy him. But I felt in my gut it was what was best for him. Turns out, it was way easier than I had expected and was a resounding success. I think it was truly one of the best things we could've done for all of us. It really did make a lasting impact. Not just with his level of calmness and creativity but also in very specific ways. For one, because kidlet didn't have devices, he took to his brand new guitar/rock band lessons with gusto. It became his new go-to thing to spend his time, and a year later, he's wowing me with his musical skills and his deep interest and love of music. The other day he sent me this audio file. He decided to try to learn Jimi Hendrix's "Purple Haze" by ear. I know I'm his mom and am easily impressed by my kid, but he's 10 and doing this? That seems pretty darn cool to me. And though we brought devices back during the school year, with limits (100 minutes a week), being on devices never took hold again. The iPad became dusty and mostly stayed in a drawer. He usually used his 100 minutes on the weekend to play NASCAR on Xbox or to watch YouTube videos about music. Devices became a small thing in his life. Honestly, this felt like a miracle compared to where we were. And the only negative side I observed was now he noticed how often most of the other kids are on devices or are overly focused on video games. It annoyed him and sometimes left him out of conversations about Pokemon, Minecraft, and the like. When I asked if it bothered him to not be able to follow those conversations, he just shrugged and said, I wish they could talk about other things, too. But it didn't bother him enough for him to use his device time minutes to delve into those games the kids were talking about. And he still has friends, so it wasn't a dealbreaker for friendships. So this year, I really wasn't planning on a device-free summer because I felt like the device use was under control. But kidlet came to me mid-May and asked if we were doing device-free summer again. When I said that I wasn't sure, he said, "Can we?" That shocked me. I asked him why he wanted to do it again. He told me that last summer was "fun" and he liked the activities we did. So he wanted the movie nights and board game playing and cooking with me and playing outside. There are so few parenting moments where you feel like you're getting something right, usually we're just hoping we're not totally screwing up, lol, but this was one of those mom pride moments that I'm going to hold onto. The whole experiment had worked. Devices had lost their hold on him, but more than that, he'd come to enjoy that old-fashioned family time. During the school year, things are so busy, that a lot of those activities fall off, and now summer feels like a special time to do those things with us. Of course I couldn't say no to his request even though it hadn't been in my plan, so he's going device-free again. But he did have some caveats: he wants to be able to Facetime his grandparents and to use his Ipod to listen to music. Deal! So that's where we are, we're doing it again. I've also decided to make an effort to slow down our summer some. We are typically overscheduled with camps and lessons and such. I'm feeling the stress of that and want to slow it down for all of us. But I'll need another post for that because this one is already long enough. ;) More to come! In the meantime, if you missed last year's device-free summer posts, here are the details of what we did, how we did it, and how it all went. If you've been following my blog for a while, you know that this summer we embarked on a device-free summer for our nine-year old son. A number of things prompted that decision, and you can read about that in the initial post (I'll link to all the posts from the experiment below.) And in August, I wrote about ending the summer and how we planned to move forward. A few people have asked me how things are going now that devices are back in play in limited form again, so I thought I'd do a quick update post. First, in order to limit how devices were brought back in, we set up some parameters. After shifting around a little bit that first week back and trying out different things, we settled on kidlet getting 100 minutes per week to use on devices (Ipad and video games.) Schoolwork on the laptop does not count. Television with the family does not count. What's nice about 100 minutes is that it sounds like a lot to him, but over the course of seven days, that means only a little over an hour and a half is spent on devices. 1. The iPad is basically dead to him. This was kind of a shock to me. The thing he used to carry around everywhere has lost its shine for him. It's rarely even charged anymore. The few times he's used it, it was to film movies of his toy cars or watch a YouTube video on a topic he was interested in. He doesn't play the games anymore. 2. He'd rather use his allotted minutes in two big chunks so it naturally ends up being weekend time. Since he's using the time for video games, it makes sense to spend bigger chunks of time instead of breaking it up into little bits of time. So usually he just plays for about an hour on a Saturday morning and then uses the rest of the time on Sunday. School days end up being device-free by his choice. 3. The limits let us all relax. I don't know if it's just because of the way my kiddo is, but he handles his own timer and turns off the game. Unlike before where it was a fight to turn things off and a bad mood afterward, he turns it off without my intervention. It's SO nice. 5. The obsession has been broken. He's not itching to play on the devices. He doesn't complain about wanting more time. It's just this thing he occasionally plays now, not the center of his entertainment. He'd rather play his guitar, play a board game with us, or play with his cars most of the time. 6. His mood is so much happier. I can't convey how big this change has been. Not that he doesn't still have grumpy days like anyone else, but he was getting angry a lot before--usually when it was time to get off devices (which was part of what prompted the summer experiment.) He's back to his fun-loving self again. 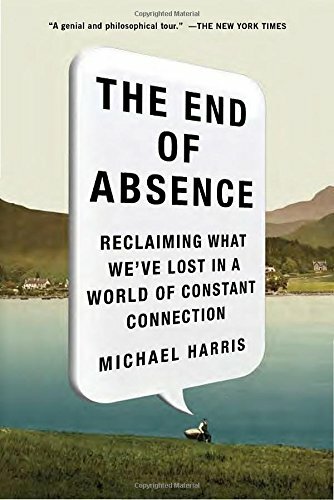 His device-free summer had inspired my husband and I to dial back a lot of our online time and social media as well. So we're all more engaged when we spend time together at night and on weekends. Our screen time is watching shows together as a family--something we hardly ever did before. So y'all know I'm already a believer in doing this. The change has been pretty miraculous in our little household, but I continue to be surprised by the longer term effects of it. Now I just wish I had done this a long time ago. So many hours lost to that iPad...sigh. But we can't change the past, so onward! For those following our Summer Unplugged, we're 10 days in and I'm happy to report that things are going better than I expected or could've hoped for. If you missed the original post on they hows, whys, and whats, you can check that our here: A Screen-Free Summer for Kidlet: How Why, and If I'll Lose My Mind. Started watching streamed episodes The Goldbergs together. We've never watched the show, so we've started from the beginning. Kidlet loves seeing "what the 80s looked like." Listening to music (we have an Amazon Echo--no screen so we allow it--and kidlet has been listening to a lot more music while he plays with his toys. Mood: Kidlet's mood has been much improved. He's been engaged and chatty. He's taken to saying, "I love you, mom (or dad)!" at random times of the time. He's always been a loving child, but it's been a noticeable change that he feels compelled to announce it often, lol. Independent play: This has been a big change in the last few days. He's not just created new ways to entertain himself, he's *wanting* to do them. Saturday I'd planned a pretty active day, but he wanted to delay leaving because he was busy creating a very intricate race schedule for his toy NASCAR cars. He created an entire season of races and has taken to carrying around a notebook and pencil to record his plans for this. Even in the car. He also decided something he can do "when I get bored" is practice his handwriting because "I want to get better at that." That one shocked me. His feelings about the fast: The first few days when we did this, he was a little down and quiet. He said he missed xbox. But after about day 3, his mood improved and he didn't mention the electronics. When I asked him if he missed it, he said, "Not really because we're having so much fun doing other things." <-I may have done a small happy dance out of his line of sight at this. The Calendar: Kidlet has taken a big interest in the family calendar we created to list all the activities. He's coming up with his own ideas to add to the calendar and getting excited to write things down. New discoveries: Kidlet has ended up liking things I didn't necessarily know he would enjoy so much. When we cooked together (something we've done only with simple desserts in the past), he was totally into it. While we were cooking, he said, "I love this. I want to do this every night." So I was surprised how much he enjoyed the whole process. Plus, the recipe he picked and food he cooked were really good! I was also surprised by how much he liked listening to an audiobook. He has some trouble following stories, so I didn't know how it would go with no visuals. But he's asking to take my car (instead of dad's) so we can listen to more of the book. So last week I admitted that the first few days of the fast were hard and had given me my own little kick of down mood because it all felt overwhelming. (Especially when everyone's general reaction was "You're so brave!" like I was about to climb Everest lol.) But I am thrilled to report that this has swung in the complete opposite direction. This has made me and my husband HAPPIER. We weren't unhappy to begin with, but I don't think either of us expected to get this big happiness boost from this whole process. It's forced us to relax and do fun activities. We get to PLAY. I'd forgotten how much I enjoy things like puzzles and board games and movie night. Before this, when I'd try activities with kidlet, I'd often feel like I was kind of forcing him into it because he'd rather being doing ipad or xbox things. Now that those distractions have been removed, having him get into all of this stuff (much of it from my childhood), it's created these lovely shared experiences that we all get something out of. If you haven't guessed, I'm only ten days in and am a total believer in this electronics fast thing. The results are hard to argue with. And now I find myself wondering why the heck we were so nervous about doing this and why we'd thought it'd be so daunting. After the first 3 days, it's been dare I say...easy. And I can tell you that when/if we bring the video games and Ipad back, it's going to be on an extremely limited basis (like an hour on a weekend day or something) because this new state of things is too good to mess up. I'll keep updating, but I hope some of you found this helpful. If you're interested in what books helped me get started on this, I highly recommend Reset Your Child's Brain. 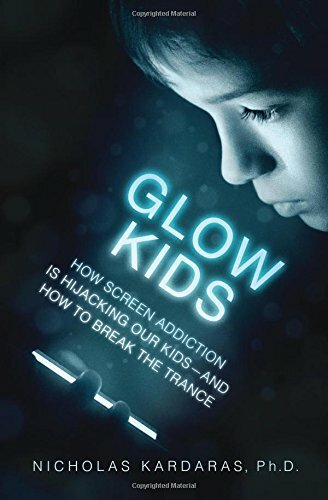 I also read Glow Kids, which was a little more dense and focused on the addiction studies about electronics. I'd go with the first book if you're looking for more practical advice on how to do a fast and why you might want to try it. Is anyone else trying this? Today's post has nothing to do with writing or books (though there is a book) or productivity, my usual suspects over here. Today is more about a personal challenge I'm taking on with my family. I mentioned what I'm doing online and a few people asked if I would blog about the process since they were worried about their kid's screen time/video game obsession/ipad dependence, too. So, I've decided to chronicle my attempt. My goal is to have my 9-year-old son go the entire summer without playing video games or using any interactive device (ipad, computer, kindle fire, etc.). And though I'm using the term "screen-free" because it's easier, I'm not including TV as a banned device in our challenge because it's not "interactive", my kidlet's never been a big TV watcher, and the book I read said that TV doesn't effect kids' brains the same way interactive screens do. Though, obviously, I'm not going to undermine the challenge by parking him in front of a TV for hours. We're not unlike most families these days. Electronic devices are the go to entertainment for our kiddo. At my house, if we want a moment to ourselves to get things done, the easiest way to get that time is for my son to be on his Xbox or playing on his iPad. It's easy, convenient entertainment, especially since he's an only child and has no built in playmates at home. But as convenient as it is, over the past few months we've noticed some concerning things with kidlet. He already has some challenges to deal with. He's on the high-functioning end of the autism spectrum and has a tic disorder that can flare up and bother him. So he doesn't need any extra hurdles. But lately, we've noticed that he's gotten more and more attached to the Xbox gaming than we'd like. He has school friends he plays with and chats with on there and that seems to be what triggered the new phase, moving it from something he enjoys to something he wants to do all the time above all other things. Things he used to enjoy doing on his own and with the family all became secondary. Nothing was as interesting as playing Xbox. And when it was time to get off of the games, even with giving ten-minute warnings and such, triggered defiance, irritability, and just generally acting like a jerk, which is not his normal self. He's a very sweet kid. We also noticed his motor tics flaring up, which was what led me to the internet searching. First, I found an article about environmental factors that can affect tics. And it mentioned how video games and devices can contribute to the problem and recommended a three-week electronic fast. 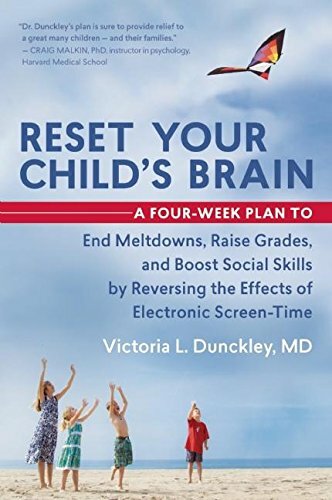 The article was by Dr. Victoria Dunckley, the author of the book Reset Your Child's Brain: A Four-Week Plan to End Meltdowns, Raise Grades, and Boost Social Skills by Reversing the Effects of Electronic Screen-Time. So that led me down the rabbit hole. I bought the book and read it quickly. If you don't want to tackle a whole book on the topic, the doctor has written many articles for Psychology Today, including a basic overview called Screentime is Making Kids Moody, Crazy, and Lazy. Here's a screenshot of the symptoms the doctor says are associated with too much screen time. The articles and book were pretty eye-opening. And though some of it could be a little alarmist, and I tend to be pretty skeptical of that kind of tone, I also trust my gut and what I see with my own eyes. I could see my kid being affected--his mood, his behavior, his narrowing interests, etc. So I'm concerned enough to give it a shot. Taking electronics away for a "fast" is hard (really hard! ), but it's not something that's going to harm him. It's a low-risk experiment. And if it ends up helping, it will be beyond worth it. I want my kid to be well-rounded, healthy, social, and creative. If I had been glued to devices growing up and never bored, I wouldn't be a writer today. Boredom and being an only child led me to reading. Reading led me to writing a novel in high school. That planted a lifelong love of telling stories. And that has given me a career I love. So, we're trying this to see if it helps some of the negative stuff we've been dealing with, but I'm also hoping it brings a lot of positive extras into his life (and our lives) as well. Now, note, this is not a judge-y post. I'm not saying all parents should try this or criticizing anyone for letting their children have lots of screen time. I'm just sharing what we're doing and why. (Hell, I don't even know how long we'll last yet, lol.) So, no preaching, I promise. The Calendar: The book recommended scheduling the fun activities on a calendar so a child could have a visual of what they were going to be doing. And the calendar also holds us, the parents, accountable. Because, let's face it, this fast is for kidlet but it also alters our lives dramatically too when it comes to our time. So after telling him, we went to Staples and got one of those desk calendars with lots of room in each space and came home to fill it in and decorate it. It's now hanging on a wall in our kitchen. Putt PuttThen we gathered supplies and let him buy a few new things with some gift cards he still had. I also wanted things for solo activities because he needs to entertain himself, too. So books (of course! ), Where's Waldo, Word Searches, Mad Libs, crayons, etc. Then we gathered supplies and let him buy a few new things with some gift cards he still had. So we started the fast this past Friday. We did it on this weekend because we already had a lot planned with a NASCAR truck race and the Indy Car races. But it also involved staying in a hotel with some down time, which we'd normally rely on the Ipad to fill. Morning 1: He pulled out his crayons and drew a racetrack for his cars to drive on. Then it started to rain outside and he sat on our porch to watch the storm roll in. Saturday in the hotel: He searched for Waldo and played with this Hot Wheels cars. Saturday at the Indy Race: The Rubik's Cube (or Smartcube) is kidlet's new favorite thing. The race was long and there was a forty-minute delay in the middle because of a bad wreck. Kidlet was perfectly fine chilling out and playing with his Rubik's cube and toy cars. The Rubik's cube is kind of magical because it gives my fidgety kid something to do with his hands and occupy his attention at the same time. It was also helpful for a long car ride. A verbal tic that was affecting his speech a lot has subsided. Though, his motor tics are still in flare mode. Has gone back to asking questions about EVERYTHING, lol. Why is the sky blue type questions. My favorite from this weekend was "Is it a requirement to have a girlfriend in college?" Me: "no" Him: "But is it highly recommended?" Lol. He hit a few periods of quiet, down mood. When he gets that urge to play and knows he can't, he gets a little sad. Periods of having an absolutely delightful mood (which had been absent lately)--giggly, engaged, chatty. He's been able to go in his room and find creative activities and games to occupy himself. Has practiced his guitar without us having to remind him or ask him to do it. Has read magazines he's been having for months and never opened. He dug out toys he's ignored. He's added his own things to the family calendar and brainstormed ideas. This is hard. I'm not going to lie. I'm used getting quiet time to get household stuff down and to read. I didn't get much of that at all this weekend. Though, this was admittedly not a typical weekend anyway because we were at the races for a big chunk of it. So I'll be figuring this out as we go along. But if you try this, expect you'll have your own version of withdrawal/down mood/feeling overwhelmed to contend with at times. There's also this nagging guilt because a) I can't very well be on my phone/computer too much while I've taken his screens away so I had to be mindful of that and b) if he has nothing to do, I feel like it's my fault because I've taken something I taught him to depend on away. But I'm hoping with time, that second one will ease because he'll get better at knowing how to fill some of his own time in between the planned activities. Also, I'm an introvert, so alone time is necessary. There was so. much. togetherness. this weekend, lol. I love my family, but I was happy to have the house to myself again this morning to work. But I'm willing to go through the pain of the lost alone time if this is going to help him be a happier, more well-balanced kiddo. (And for us to have more involved, interactive family time.) And my goal is not to take away this stuff forever. My plan as of right now is to get through this fast (3 weeks minimum with a stretch goal being all summer) and then bring the devices back in limited amounts. I will probably keep weekdays device/video game free. Then give him limited time on the weekend for the screen time. But I'm withholding a decision on all that until I see the results of this. I will try to post weekly updates as we go along if you think you'd find that helpful. If you want to know how the summer went, here are the rest of the posts!